I never use student grades colours. I always use the artists colours. 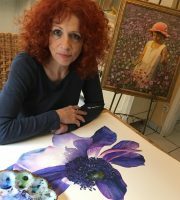 I want to make sure that my painting will be successful. 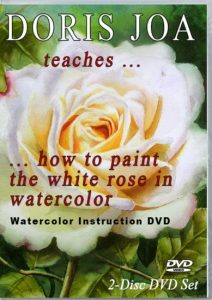 Especially as a beginner in watercolor you should have the best art supplies at hand. 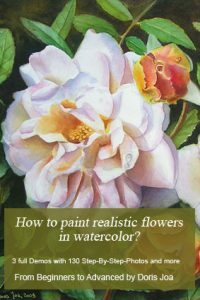 There are so many technique questions when painting with watercolors so that you never should struggle because your watercolor paints do not have the best qualities. There are many brands available. My favorite colours are from the companies mentioned above. I am also using watercolor tubes. I love the richness of the colors when they come fresh out of the tube. I usually buy the 14 ml tubes, but sometimes I also buy the smaller 5 ml tubes, when I want to test a new colour. Don’t worry when your paints dry after your painting session. Just add a bit of water and you can use them again and again. There is only one difference. M. Graham is made with honey and these colours do not dry very fast. They often remain moist on your palette much longer as well as on the paper. For my watercolors I am using a porcellain palette with 11 sections. But I also love to use the John Pike Watercolor Palette which has a large mixing area and you can put many more colours on this palette. Just try out what you prefer. When I finish my painting session then I am using only a towel and clean the mixing area with clear water. 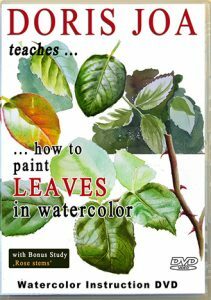 When creating your watercolor palette please have in mind that it is the best to put always a warm and a cool colour on your palette to create clean colours (like a warm and a cool yellow, a warm and a cool red, a warm and a cool blue). Mixing clean colours from the same temperature will avoid moody colours. I love to work with transparent colors. This means that colors do shine through other colors. Try it out: Make a wash of maybe some yellow. Let it dry. Then add a wash of maybe blue. Let it dry again. You will notice that you can see the yellow layer shining through your blue color layer. It is amazing. Also transparent colors do not lift so easily as when you use opaque colors. 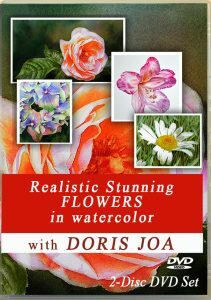 Flowers and Roses do have such delicate petals – so it is wonderful when you can describe those petals with transparent colors to capture all the different colors which are there. 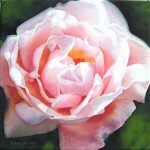 Read more about the Colours for my Watercolors which I use for my flower and rose paintings. 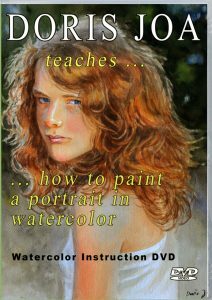 If you want to learn from my Watercolor DVDs or my Watercolor E-book then of course you get a list of my colours I am using with your purchase. los precios que aparecen en pantalla de los dvd y cursos ¿son en dólares?